The modern global economy is an enormous, fabulously complicated beast that’s capable of delivering goods and services of unprecedented quality across vast distances. Without access to literally hundreds of different materials and components, and the expertise and technology to put it all together, the world would be quite a different place to the one we inhabit today. Of course, in order to make this all happen, the aforementioned components of each product need to be united with one another in as orderly and frictionless a manner as possible. Copper mines need to be linked with electronics manufacturers, who in turn need to be linked with retailers, who in turn need to be linked with the end customers. And those electrical items must also be occasionally shipped in the other direction for repairs and maintenance. For a business along any stage of this route to thrive, each stop along the way must be passed through as quickly and efficiently as possible. In order that this happen, effective management is essential. That’s where we come in. In the modern world, customers are able to receive goods within a few hours of placing an order. While this is undoubtedly a very good thing, it’s brought about a new challenge for modern logisticians to grapple with: high expectations. Getting things delivered quickly isn’t the only criteria by which businesses are judged, however. You’ll also want to keep an eye on costs – and so delivering an appropriate balance between a speedy service and an affordable one is called for. Of course, exactly where this balance should sit will depend on the business. If you’re sending out vast numbers of inexpensive items, then speed might be of the essence. If you’re concerned with getting smaller numbers of high-value packages out there, then you might wish to opt for a more premium, though more thorough, approach. Whichever path you decide to tread, we’ve got the experience and contacts necessary to unite you with the appropriate delivery solution. With your input, we’ll devise a winning supply-chain strategy that’ll transform your business, saving you money and allowing you to integrate more effectively with the organisations and individuals alongside you in either direction within the supply chain. 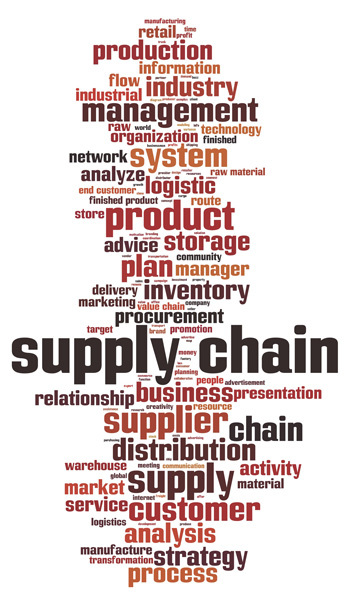 Our approach to shaping your supply chain is based on the needs of your business. Rather than taking a one-size-fits-all approach, where the same processes are lazily copy-pasted onto disparate businesses, we prefer to tailor the service to suit the way your business operates. We’re independent, but we work alongside some of the UK’s premier domestic and international freight forwarders and couriers. We’ve a considerable pool of experience to draw upon, and we’ll be able to anticipate and avoid any of the obstacles that might come between you and your customers. If you’re in need of a regular courier service, whether you’re a one-person eBay seller or a multinational conglomerate, we’ll be able to provide a supply chain solution that’ll match your ambitions, and keep your customers perpetually satisfied.